We used data and science to determine the places in Idaho where everyone sleeps safe and sound. Editor's Note: This article has been update for 2019. This is our fifth time rankings the safest places to live in Idaho. 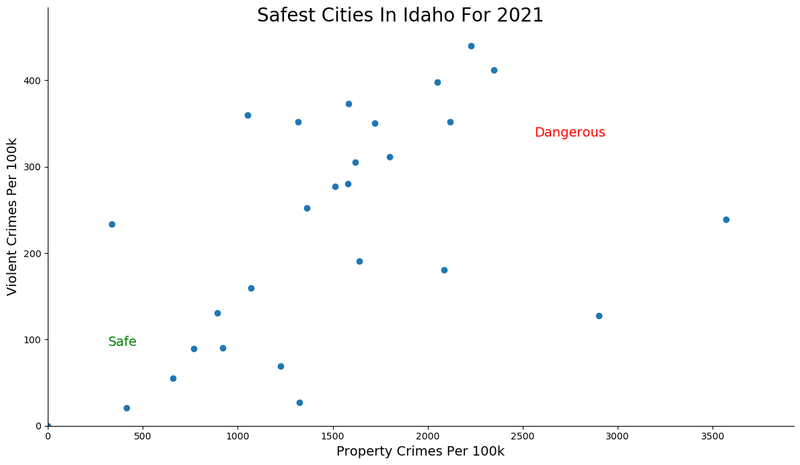 For a lot of people who live in the fine state of Idaho, safety isn't a problem, but we don't all get to live in the safest cities -- unless of course you live in Rexburg. The purpose of this post is to determine where the safest cities to live are in the Gem State. Those places where crime is usually something you hear about on Facebook, but not from your local paper. In all, we analyzed 24 cities in Idaho with a population of more than 5,000 using the latest FBI crime data. So what's the safest place to live in Idaho for 2019? According to the most recent FBI UCR data, Rexburg ranks as the safest place to live on a violent crime and property crime rate basis. While there are surveys and public polls on what cities in a state are the safest, we didn't want to rely on speculation and opinion. Instead, we looked at the hard numbers from the FBI's most recent report of crime (Sept 2018) in Idaho. 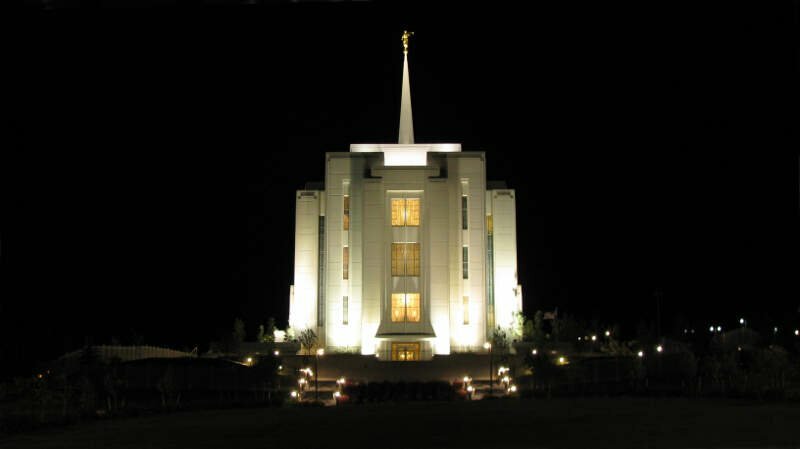 For example, there were a total of 187 crimes committed in Rexburg which had a reported population of 28,698. That means the number of crimes per capita is 0.0065 which translates into a 1 in 153 chance of being the victim of a crime. We only looked at cities that have populations of more than 5,000 people reported to the FBI in 2017. This left us with a total of 24 of the biggest cities in Idaho to rank. We ranked each city for each criteria from 1 to 24 where 1 in any particular category is the safest. Next, we averaged each places two criteria to create a Safety Index. We crowned the place with the lowest overall Safety Score "The Safest Place In Idaho". The safest city, based on our criteria, is Rexburg. The most dangerous city in Idaho? Garden City, where residents had a 1 in 28 chance of being the victim of a crime. Welcome to Rexburg, our number one safest city in Idaho. It's so safe in this little village at the West entrance of Yellowstone National Park, that the wolves, coyotes, and bears are always howling and growling at the residents reminding them to get home before dark. Thanks furry friends! 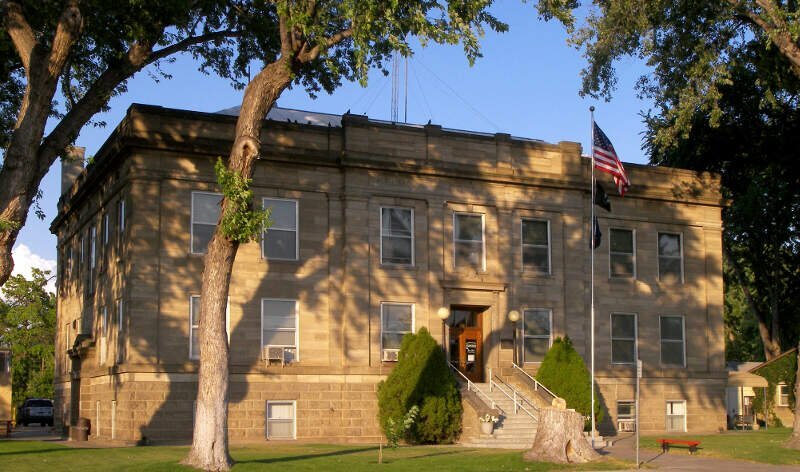 There's a true sense of community in this quaint little potato town, that it is no surprise that their city's motto is 'America's Family Community.' The residents, here, look out for each other. Rexburg's gold star qualities like the non-existent number of crimes per 100,000 residents, their large number of educated residents, and just their overall safety standards, speaks volumes. Yes, Rexburg, you might be located just above volcanoes that may erupt, but you truly offer a better life. Where the fruit orchards spill out into Western Treasure Valley at the Idaho/Oregon border is Fruitland. This town, where the only crimes being committed might be leaving Mr. Potato Head without a mouth, is our second safest city in potato-land. Fruitland Is known as the "The Big Apple of Idaho," so one might think it resembles wily New York City; but just the opposite, it is super chill and super safe. This little outdoor enthusiast's dream is known for its safe, family friendly atmosphere. 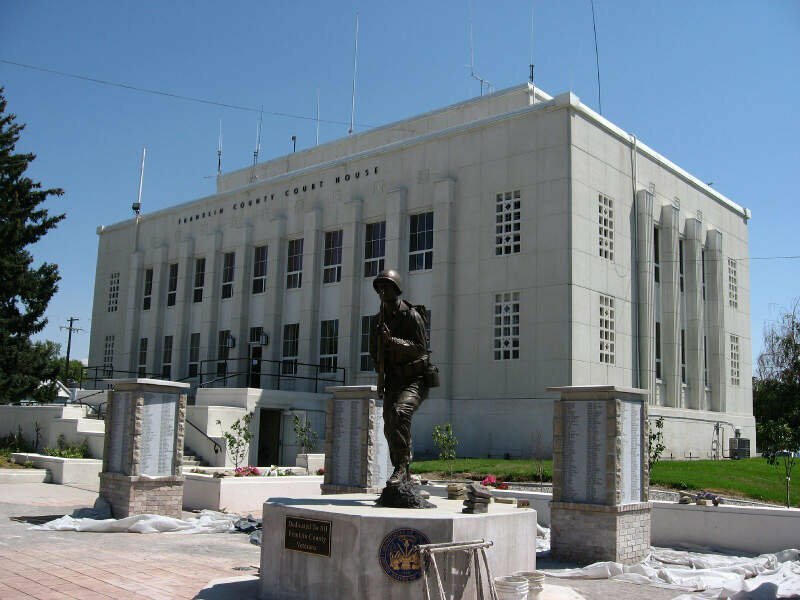 There is a ton of stuff to do in this little town with only 5,205 residents in the middle of Payette County. They have fruit orchards where you could spend an entire day picking apples; and for the adventurous type, you can kayak, hike, and/or ski as far as the eye can see. Middleton is the ideal destination when you're trying find that true rugged Idaho feel with safe, small city vibes. We're not sure if it's really where the grizzly bears roam, but but we do think that it's safe enough to let your children roam. And this is definitely one of the reasons it's hanging strong as our third safest city in the 'Spud Capital of the World'. Middleton is known for its strong housing market, unbreakable economy, and overall affordability. Do we think it has something to do with the abundance of potatoes in 'dem 'der' fields? Probably. One thing we do know for sure, however, is that there is a true sense of safety and community in this little village in Canyon County. Flip on your snowmobile hazards and slap a fluorescent orange safety jacket on that gigantic grizzly bear, and call Hailey, Idaho safe: our fourth safest city to be exact. It might not be Barney Fife's Mayberry, but this little town with a vibrant downtown scene, unforgettable summer festivals, and year-round fun backed by a strong french fry industry is just as notable and just as safe. Probably why it's one of the most populous towns of the Wood River Valley. This little piece of heaven surrounded by the Sawtooth National Forest is a family friendly, safe city. It boasts convenient restaurants and stores and an occasional rodeo or two. It's a great place to raise a family. And word on the street is that young professionals are starting to take notice and move Hailey's direction. Heck, you could be Bruce Willis' or Demi Moore's neighbor! So don't wait, cuz the word is out. And if you want to read more about how great Hailey is, check out our article 'The Best Cities in Idaho'. Not surprising, Hailey also made our top ten. Where the Snake River meets the Boise River in the Treasure Valley is Meridian. This our fifth safest city in Idaho. This little city, nestled between the state's capital and Nampa, is super family friendly and virtually crime free. Heck, they don't even start fights when people throw out the 'no, You-Dah-Ho' joke. Meridian's overall HomeSnacks snackability score was a 9/10! Not surprising, considering their safety rating scored an 8/10 and percentage of educated residents scored an 8.5/10. Busy potato farmers = less naughty potato farmers. If that doesn't say safe, we don't know what does. It also not surprising that their city motto is 'Built for Business: Designed for LIving'. The people in this corner of the U.S. are super nice, hardworking, individuals that strive to create a better corner of the world for its residents. This is probably why they are considered the state's and country's fastest-growing cities and one our safest. So grab the fam, pack up the pick-up, pick out a potato farm, and get a-movin' so you don't miss out on any of their safe, family friendly, activities scheduled for 2019. Home to the Napoleon Dynamite Festival and the Idaho Festival of Lights is our sixth safest city in Idaho: Preston. This eastern corner city where Idaho meets Utah is one of the best kept secrets of the West. Hardworking Idaho roots run deep in this corner of the country and it is evident in the numbers. They scored an 8/10 snackability score with an emphasis on safety and available jobs. Whether you're taking in a rodeo or snowmobiling the city's trails, the term SAFE takes on an important meaning in Preston. It's a family friendly town in Franklin County where the (S)treets (A)re (F)or (E)veryone. The people here are super welcoming and there are a ton of safe, family friendly activities. Hi ho, hi ho, off to our seventh safest city in Idaho we go. While it might not be Smurf Village, Rathdrum is a city filled with individuals who work just as hard with safety always in mind. Talk to anyone from the Gem State and they will tell you that Rathdrum is small town living at its best. There are a boat load of things to do and the residents have the money to safely enjoy life. They have one of the highest median household incomes in Idaho. So it's not surprising that this city in Kootenai County received an 8/10 job score and an 8.5/10 score in amenities. It takes hard working individuals to keep a business alive. Nice work Rathdrum! 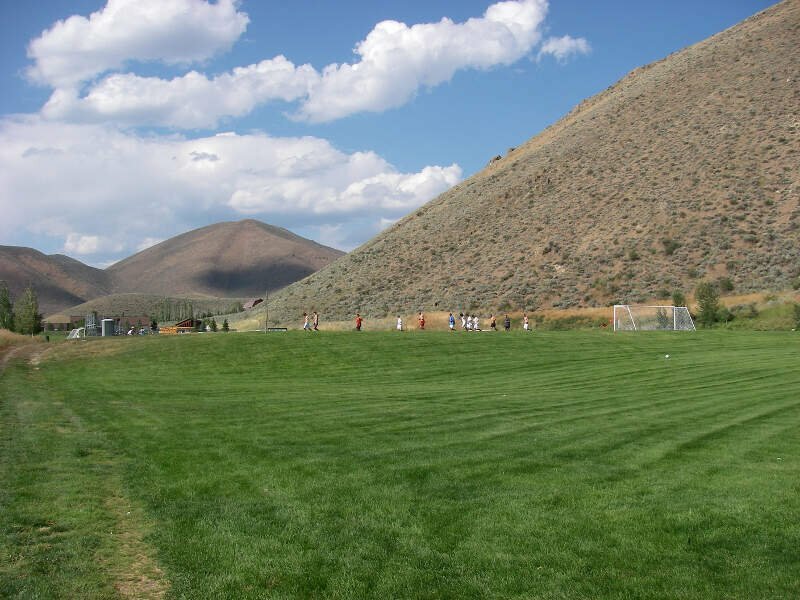 In Rupert they love their wide open spaces, their parks, their super safe neighborhoods, and they take pride in keeping their residents safe. This true-to-definition Idaho city is our eighth safest city. 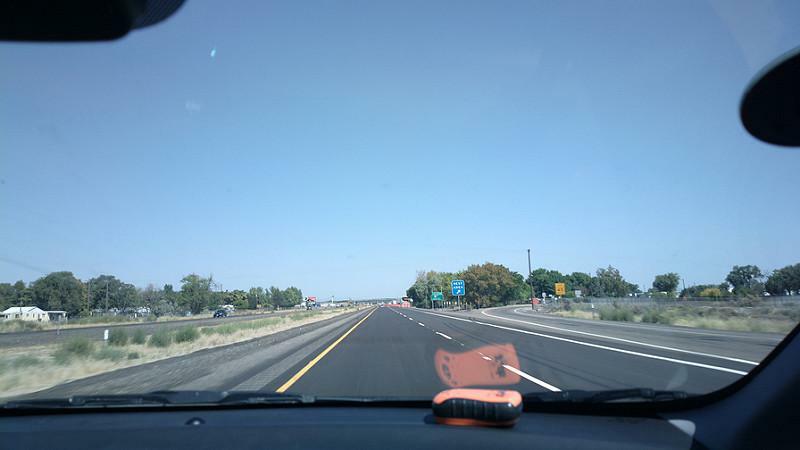 It's a place where work and play meet at Idaho State Road 83 and Idaho State Road 84. Rupert's small town charm delivers big opportunities to all that are searching for a safe, not scary, place to call home. Heck, they scored off the charts in safety on our snackability scale. And that says a lot considering they're the largest city in Minidoka County. Rupert's slogan should be: "Where Safety is Cool". According to the US Census and FBI crime data, the city ranked 11th out of 24 for number of crimes per capita. So, if safe, family friendly, economically sound communities that are happenin', is your cup of tea, you better hurry cuz Rupert's homes are flyin' of the shelves. Moscow has been holding strong on our top 10 list for the last couple of years. So, it's no surprise that they are our ninth safest city in Idaho. Not to be confused with Moscow, Russia cuz Moscow, Idaho is safe. 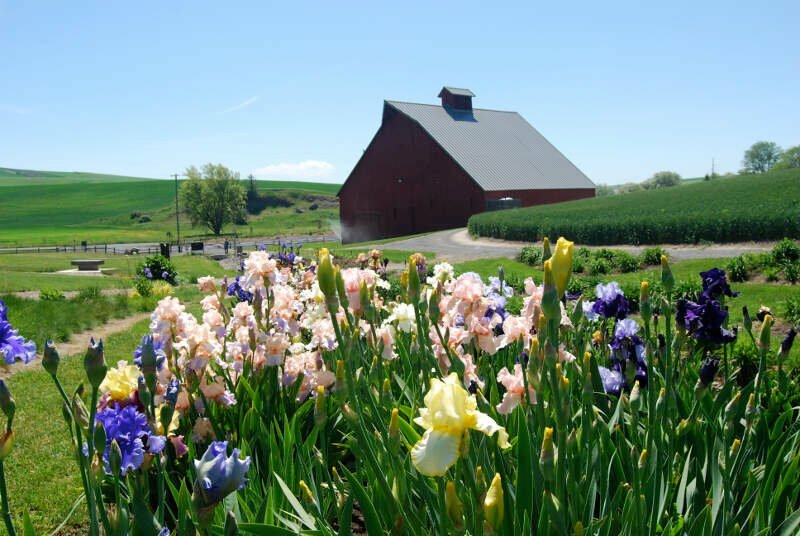 Home to one of the only airports in the state, Moscow Mountain, and Columbia River Plateau, Moscow is truly "Idaho at Its Best." Moscow also put its best foot forward when they scored an 9.5/10 for educated residents and an 7/10 safety score. Smart and safe! Palmer is one of those snowy towns. They average close to 50" of snow/year. According to their residents, the only dangers lurking in the shadows of this city might be the occasional snowball fight. Keep that snow slingin' to a minimum Moscow, unless of course you're tossin' them at the Eastern Washington Eagles, cuz we wouldn't want you to tarnish that strong 7/10 safety rating. Mountain Home rounds out our safest cities in Idaho list coming in at number ten. They crushed our snackability scale with a 6/10 job ranking and an 8/10 affordability score. What do you expect from the home of the Mountain Home Air Force Base and a growing agriculture economy. When Homer residents aren't busy putting up caribou crossing signs or safely bear-proofing their garbage cans, they can be found manning their other dominant industries like home fries and hash browns. And it should be no surprise to Mountain Home's residents that they scored a 6/10 education rating. Smart people know that working hard creates a safe, productive environment necessary for a city to survive. You won't hear 'hold my beer and watch me handle this" in this little city in Elmore County They are a safe, family friendly, town with a ton of respect for each other. Heck, crime is pretty much nonexistent in this town of about 14,000. Yep, you heard hear first, folks: potato farmers do get along. I lived in mountain Home for a few months for my husband's work. It's BAD. Sirens every hour. Drug deals right in front of you. In the Caldwell nampa area now. I don't like it. Looking at the data, you can tell that Rexburg is as safe as they come, according to science and data. But as most Idaho residents would agree, almost every place here has its safe and not safe parts. So just make sure you're informed ahead of time.